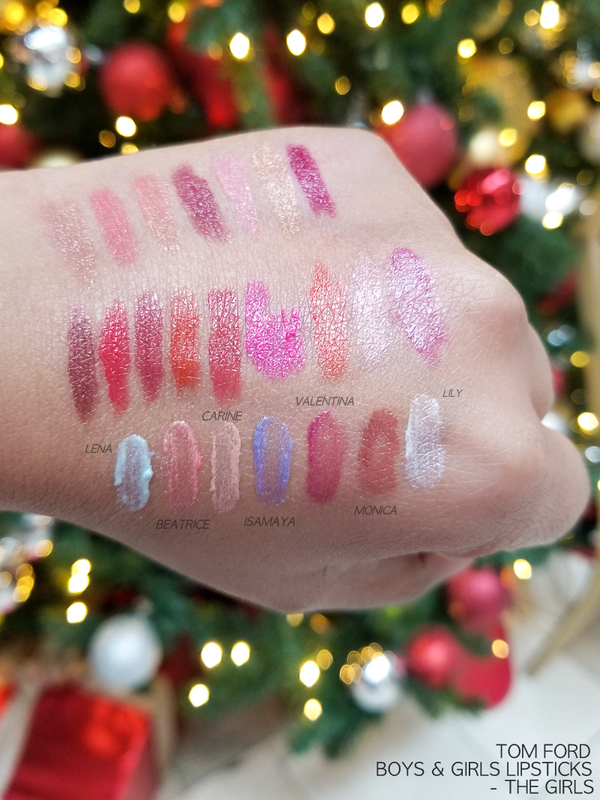 The new Tom Ford Boys and Girls lip color collection features a mix of new shades (Girls) and some repromotes from the Lips and Boys collection. 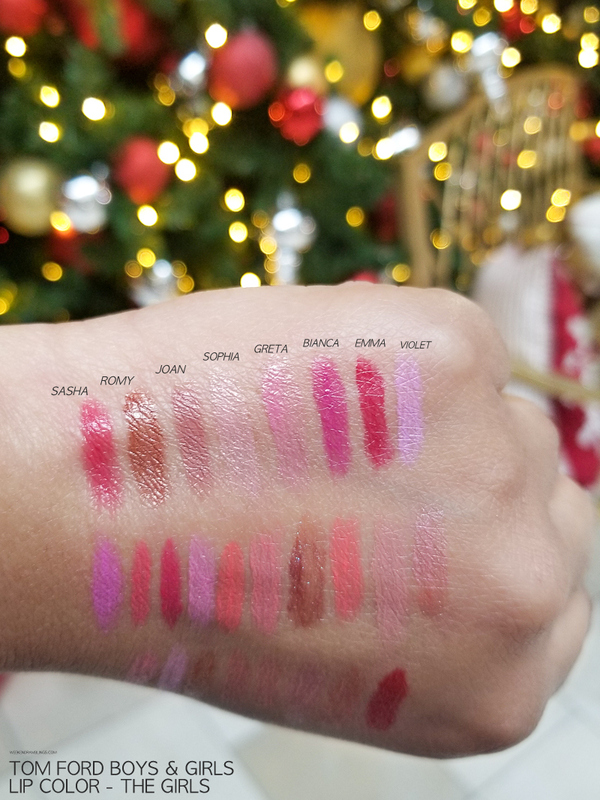 The Girls lipsticks are a mix of creamy and shimmery shades, and most of the colors seem slightly sheer. 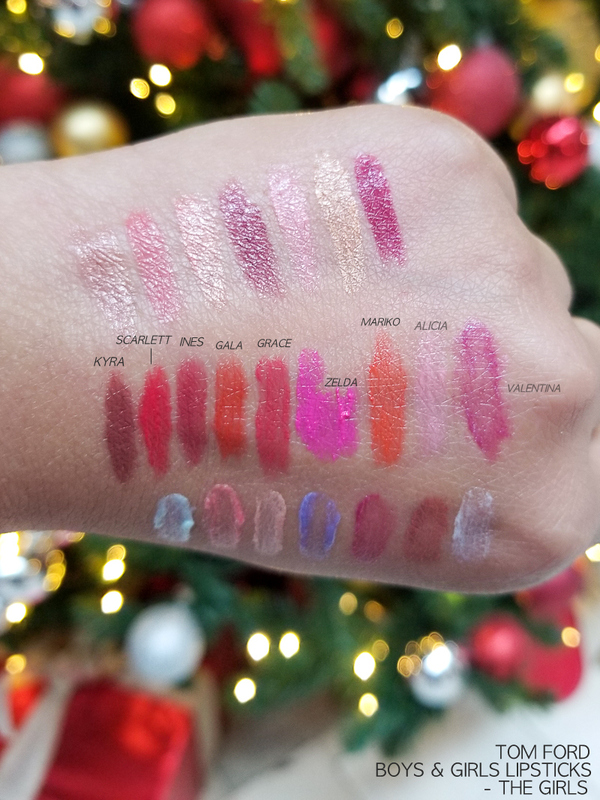 While not really the sort of colors I reach for often, my favorites from this range would be the more pigmented and/or brighter ones like Zelda, Mariko, Scarlett, or Anne. Among the sheerer shades I liked Valentina, Joan, Sasha, and Bianca. 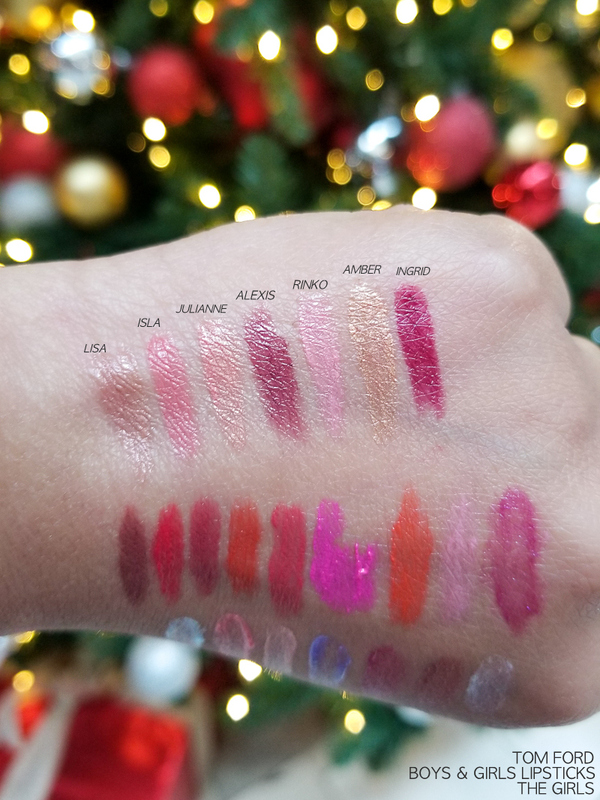 I amn't a huge fan of shimmers or pastel lip colors, but that's just my personal preference. These lipsticks are described as clutch-sized, which seems to be the Tom Ford code for "mini." The size is a little larger than most deluxe sample sizes. 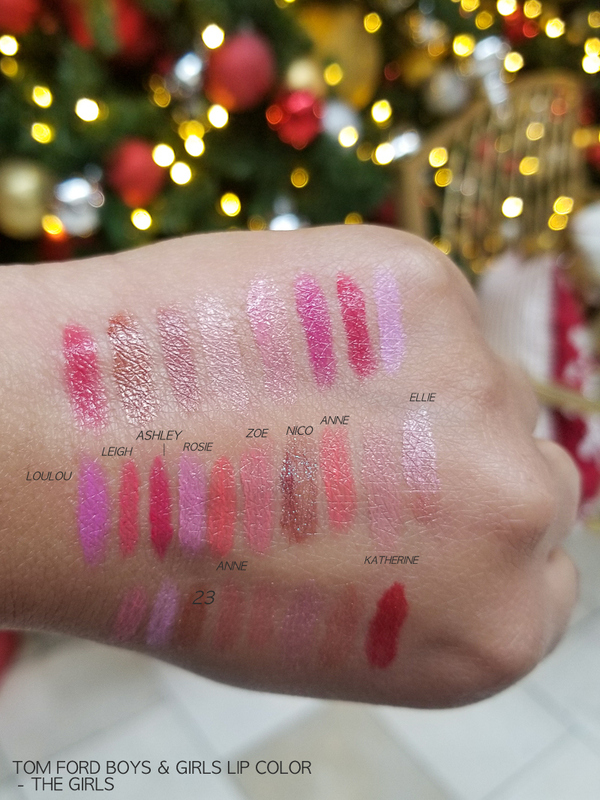 I have never used up any lipstick so far, and I prefer buying smaller sizes now. 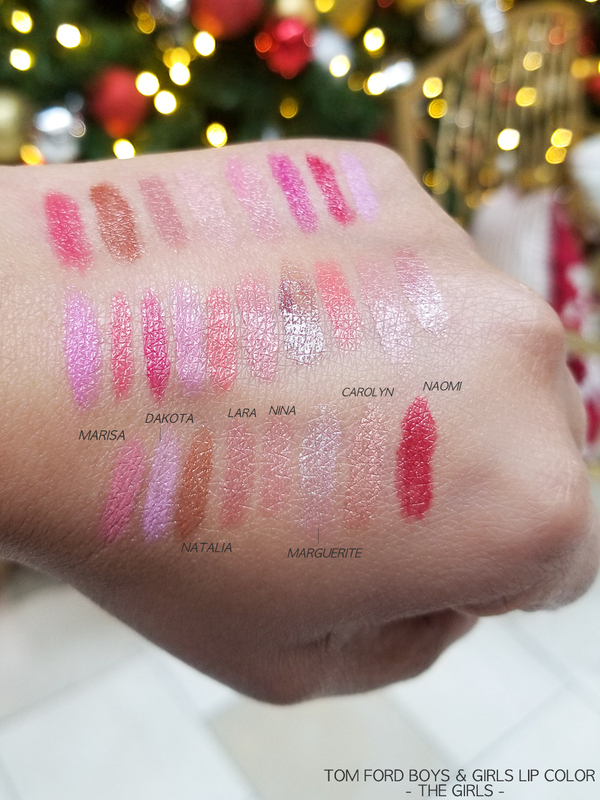 A lot of higher-end lipsticks are available in full sizes in a similar price range, so this might be something to keep in mind if you haven't tried these lipsticks before. Overall, a good pick for Tom Ford fans and/or if you prefer easier-to-use-up, smaller-sized lipsticks.